Christian parents may lament this question’s lack of creativity and the subtle guilt trip it imposes on kids. No one wants to nag their child into spending time with God, but how can parents move beyond simply badgering kids to get into Scripture? Bible apps on smartphones and tablets are useful tools for engaging children. However, there’s nothing like a paper Bible to help children stay focused on God in today’s world of digital distraction. By teaching children how to navigate the pages of a traditional Bible, you can help guard your kid’s daily devotions by eliminating the noise and constant interruptions common in today’s online culture. So you’re going to invest in a traditional Bible? Great, but be careful. Although useful to the church at large, a 2,407-page Thompson Chain-Reference Study Bible probably isn’t going to be the best fit for your young learner. Pay a visit to your local Christian bookstore to outfit your child with an age-appropriate Bible or storybook Bible that’s perfect for reaching them at their current stage of development. Take your children with you and make it a memorable outing as they help select their own personal copies of God’s Word. What’s your favorite way to have devotions? Sipping coffee? Getting comfy in your favorite chair? Kids, like adults, are more consistent to engage in a behavior when it’s something they look forward to. Allow your kids to nibble on their favorite healthy snack during devotions. Or try creating a special place they’ll enjoy calling their own where they can read and pray. Nurture your kids’ spiritual development by providing peripheral pleasures to create excitement and joy around a daily devotional routine. Interrupting your child’s favorite Netflix show with an invitation to read the Bible isn’t going to be met with, “Gee, thanks Mom and Dad.” Instead of surprising your child with a random call to have devotions, try to schedule it with them at the start of the day. Kids work best in routines when they know what to expect. Teach them to anticipate daily devotions by building it into their schedule. No matter how structured and prepared you are in teaching your kids about daily devotions, it will produce little fruit if they don’t see their parents also making time with God a priority. As a kid, I remember waking up many a morning to find my father already positioned on the couch, Bible in hand. I probably learned more from him during these silent observations than from some of his more prepared teaching moments. Even if your child regularly reads chapter books, it’s likely he or she has never approached a book as extensive as the Bible. Children need parental guidance for how to navigate such a weighty volume of material. Many great Bible reading plans exist for children and for adults. Having a Bible reading plan also allows you to read ahead of your children and anticipate their questions. Try to always stay a few chapters ahead of your children during your own daily devotions and read up on book overviews before your child dives into a new section of Scripture. Reading ahead of your child also keeps you from receiving unexpected questions from the kid who has stumbled upon, say, Song of Solomon on their own. Having devotions together as a household once a week can be extremely beneficial for kids. Your children will learn how to read Scripture and pray and will feel more eager to ask questions when you’re reading together as a family. It also establishes a precedent that Scripture is important to the family and that Jesus is the one who brings everyone in the household together. Perhaps there is no greater advice on this list but to pray for children as they spend time with God. Solomon wrote, “Unless the Lord builds a house, its builders labor over it in vain” (Psalm 127:1a). 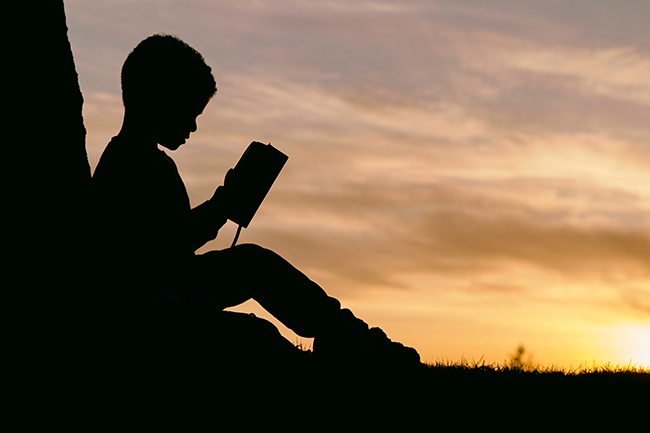 Parents can purchase Bibles, model behavior, and create schedules for daily devotions, but it is only God who can ignite the hearts of children with a passion for Himself. Surround kids with the resources and support they need and earnestly pray for God to take hold of their hearts. 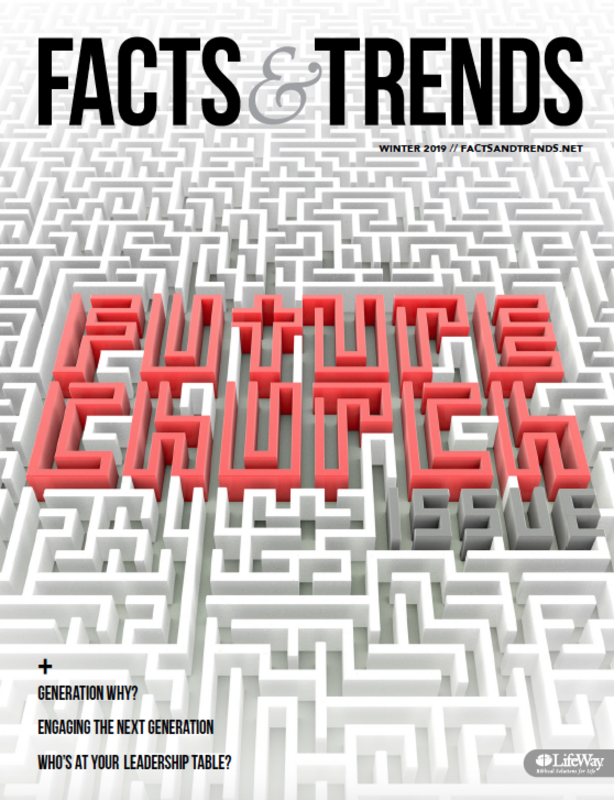 AARON WILSON (@AaronBWilson26) is associate editor of Facts & Trends. You’re welcome, Carol. Hope some of these ideas are helpful in connecting your kid(s) to God’s Word! I read the Bible daily with my children, when I meanted this to friends in different churches not one said they had done the same. I did get some comments that it was extreme and perhaps I shouldn’t be doing it. My parents never read the Bible with me. I think the problem is that your ideas might work with a very small % of people, but the bigger problem is that most church goers never read the Bible. Some read devotional books daily with hardly any Bible and much human opinion. I’m interested in reaching the vast majority of people both in and outside of church. What has worked for me for decades I see won’t work for most. I have read the Bible cover to cover too many times to count. Most Christians today have NEVER read the whole Bible and some are preachers or taking othet study groups. We need to start with the Gospels perhaps for a couple of years. The Book of Psalms. Reading the whole Bible usually fails in Leviticus and Chronicles. There was a book produced with just the 4 Gospels and Psalms, excellent. A person could be given this as a gift. Much success, completing a whole book, gives confidence to read more. I want the Bible published as 5 natural sections in paperback. The new Christian and children should be sticking to the Gospel for 2 or 3 years. Enjoying the emotion of Psalms that are both prayers and songs. A daily devotional could be produced with either a Gospel chapter or a Psalm each daily, nothing added. Psalm 119 over 11 days, 2 sections a day. Please think of the many, not a minute few.